Having worked with schools and universities for some time, there has been a consistent basis of techniques that I use over and over again that works far better than any other method. As you know, the online world of digital technology is constantly changing. Keeping up with the changes can be difficult at best. Most schools struggle to implement effective online marketing techniques simply because they “don’t know what they don’t know”. What I’m going to give you now is the basis for almost every marketing campaign I have setup for schools and universities. It’s the secret to effectively targeting, capturing, and engaging with online prospects. it’s not complicated. You may have heard of these things before, but implementing them correctly can make a massive difference to your ROI. I’m referring to online advertising here. If you don’t have traffic, you have nothing. It doesn’t matter how good your message or website is if no one is there to see it. This is the starting point, and there is an abundance of instant traffic available to purchase from Google and Facebook. Targeting the right audience is crucial. You can waste a lot of good advertising dollars if you aren’t spending your budget attracting the right people. This can also be technically challenging as you really need to know how to use the advertising tools these large networks provide to derive the maximum benefit. I’m referring to a “landing page”. This is different to your main website. The purpose of a landing page is to get the user to take your desired “call-to-action”. Typically that call-to-action is asking the visitor to enter their details into a web form. I’m referring to using an email autoresponder. Once you have captured your prospects details, you now have the ability and privilege to communicate with them over time and build trust. An autoresponder email sequence can be used to move your prospects through your online sequence, or give them compelling reasons to enrol their child at your school, or remind them about your upcoming open day etc. it’s a common fact that users get diverted, distracted, and forget what they signed up for, so engaging your prospects and keeping in their mind through email marketing will help improve the overall ROI of your campaign. There are a number of third party services you can use to create landing pages and deliver autoresponder messages, however you will need to be quite technical to set this all up and integrate your landing page web form with your autoresponder service. Setting up your online advertising campaign is another story. You will need to get familiar with tracking pixels, interest and demographic targeting, split testing etc. Implementing these 3 keys is of great benefit to schools but also very time consuming and technically challenging. The solution was to recognise the common scenarios schools would need to implement this system and create a template that was easy to duplicate and modify. This is a combination of a pre-built landing page and autoresponder sequence combined with a tailored advertising campaign. We will handle the advertising, you get 4000 visitors and a pre-built landing page and autoresponder sequence designed for maximum conversion. 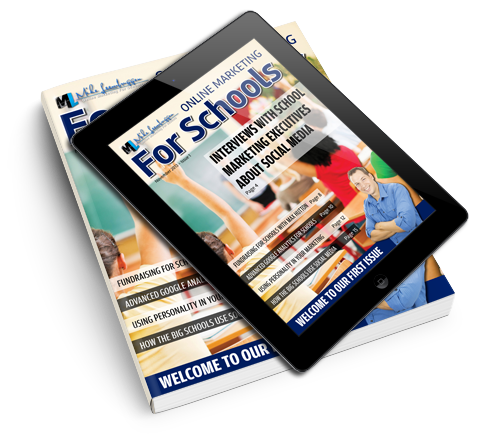 If you would like to talk about implementing the 3 keys for your school and taking advantage of our School Marketing Execution Plans then please email mike@onlinemarketingforschools.com or visit http://www.onlinemarketingforschools.com to find out more information.